The Consumer Electronics Show (CES) in Las Vegas is the biggest annual technology trade show in the world. While Engadget�s Best of the Best of CES Award went to a meatless plant-based burger (Impossible Burger 2.0), the show floor was packed with innovative technologies beyond food engineering, ranging from next-generation virtual reality devices to connected home appliances and even passenger drones. CES focuses on consumer electronics, but the shift towards tech-enabled workplaces, digital tenant experiences and IoT enabled smart facilities suggest that many of the consumer tech trends are relevant to the commercial real estate industry as well. Everyone was talking about 5G at this year�s show, discussing the promise and possibilities of the technology. While I didn�t see any products capable of tapping into the next-generation network yet, the potential applications highlighted at the show are exciting. Beyond a faster connection, the Internet of Things, autonomous driving and virtual reality are poised to see rapid innovation thanks to the speed and responsiveness of a 5G network. 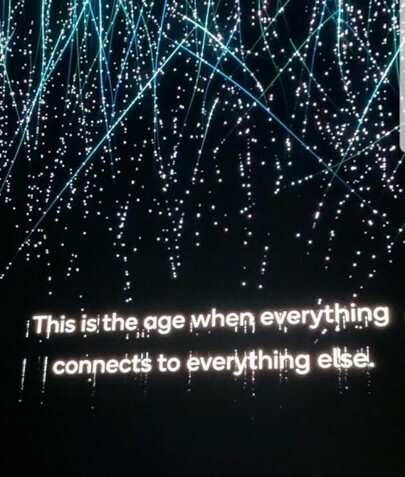 Qualcomm expects an �explosion of innovation� through 5G breakthroughs as we enter the �Innovation Age [�], the age when everything connects to everything else.� (5G Demo at Qualcomm Booth, CES). Several tech giants showcased large digital displays at the show and demonstrated how those can transform traditional space. LG�s digital wall constructed with 260 curved 55-inch OLED TVs was the most impressive display, in my opinion. Walking through the wall and ceiling structure provided a mesmerizing experience, transporting the visitors into nature scenes. While 8K resolution was another major trend at CES, the show also provided a glimpse into the future of MicroLEDs that show great promise for commercial use. The potential for digital walls inside office buildings seems endless, especially as tenants are becoming increasingly experience-driven. Based on this year�s buzz around VR at CES, I expected to see more virtual and augmented reality applications for the workplace. Although VR is becoming a viable platform for true immersive experiences, most applications demonstrated at the show were for the gaming industry. The AR and VR devices showcased for the real estate industry were limited to very similar technologies that have been around for a number of years now (e.g., VR headsets used at construction sites or augmented 3D presentations of architectural structures). This year�s CES leaves no doubt that tech companies are increasingly embedding AI and Machine Learning into their products to enhance consumer experiences. AI-based robots equipped with simultaneous localization and mapping technologies are capable of moving around the office independently to serve as concierges, delivery assistants, air and surface cleaners, servers, and more. Virtual Assistants, such as Amazon�s Alexa, Google�s Assistant and Samsung�s Bixby, continuously popped up throughout the show floor. The array of personal applications moved beyond turning on lights and requesting today�s weather to dictating an email to your bathroom mirror and telling your toilet to play your favorite song (yes, really!). Beyond personal in-home applications, virtual assistants are also entering offices and cars. 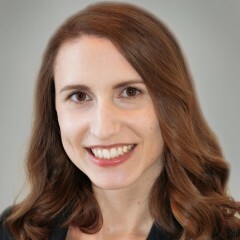 In the office, virtual assistants can take over some administrative tasks (e.g., making appointments and translating conversations) and pull up data and reports from internal systems. On your commute to work, virtual assistants are able to take verbal orders to find the closest gas station, set the alarm at home, queue up your favorite song or send an email. Speaking of commuting: different manufacturers showed their models of self-driving cars, self-driving shuttles and even self-flying taxis. Still in its infancy, manufacturers agree that the autonomous future can�t happen without deep learning and AI. Systems that analyze a driver�s facial expression, head position and eye-gaze to monitor the driver�s emotional and cognitive state and assess their ability to take control of the car were demonstrated at CES. If you attended CoRE Tech last year, you may have heard about Uber�s plans to introduce self-flying taxis in the near future. Bell Aerospace revealed its latest iteration of a passenger drone, the Nexus VTOL aircraft, which is the preferred platform for Uber�s Elevate air taxi program. The model I saw at CES is not operational yet, but the company expects to begin flight testing in the early 2020s and hopes to commence commercial operations shortly after. CES introduced Smart Cities as a conference topic last year. While this year�s Smart Cities section on the show floor included a lot more vendors, most content was focused on the future of transportation and energy concepts on a city-wide level. However, one of the most crucial parts of a connected smart city ecosystem, the smart building, was rarely mentioned. Privacy was not top of mind at this year�s CES, but it seems like it is no longer an afterthought either, as many companies addressed data protection. As we enter the age of �connected everything�, understanding what information is communicated over the internet no longer seems to be a concern for just the privacy conscious. 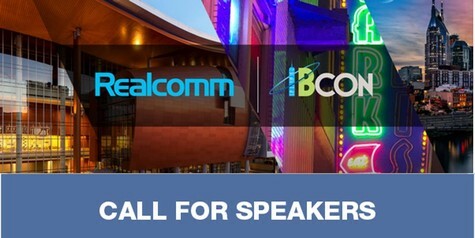 Join us to learn more about these future technologies as these topics and more will be discussed in-depth at the upcoming Realcomm | IBcon 2019 conferences, which will be held in Nashville, TN on June 13 & 14. (Pre-Con, Golf and Tech Tours June 11-12). Register early and save!